This summer, Barcelona takes over Miami with the Estrella Damm Chef’s Choicest experience, featuring original 3-course meals prepared by 25 of Miami’s top chefs inspired by flavors of the Mediterranean. 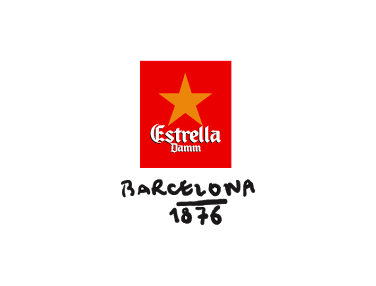 Each menu will be unique to each participating venue, but they will all include pulpo (octopus) in the main dish and will be paired with Estrella Damm, brewed in Barcelona with Mediterranean ingredients since 1876. Available from June 20 to July 5, the 3-course menus will range in price from $30 to $52 and offer the participating chefs an opportunity to showcase their creative talents and push their boundaries with the pulpo and Estrella Damm pairing. 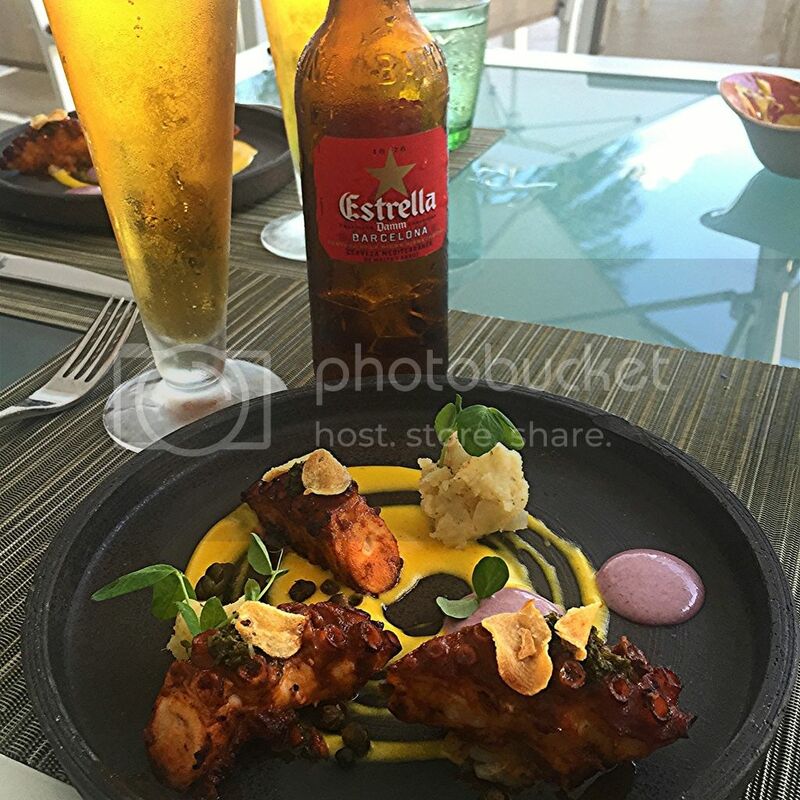 Staying true to its strong gastronomic ties, The Estrella Damm Chef’s Choice menus will bring a one-of-a-kind experience, where pulpo (octopus) entrée will be the main attraction and include an appetizer and dessert. “We selected pulpo because it is representative of Mediterranean cuisine and because we think it is an intriguing ingredient Miami foodies will love and who better to prepare these dishes than Miami’s most inventive chefs,” said Floris van Neerrijnen, Estrella Damm Brand Manager. To get the 411 on each restaurant's menu, go here. 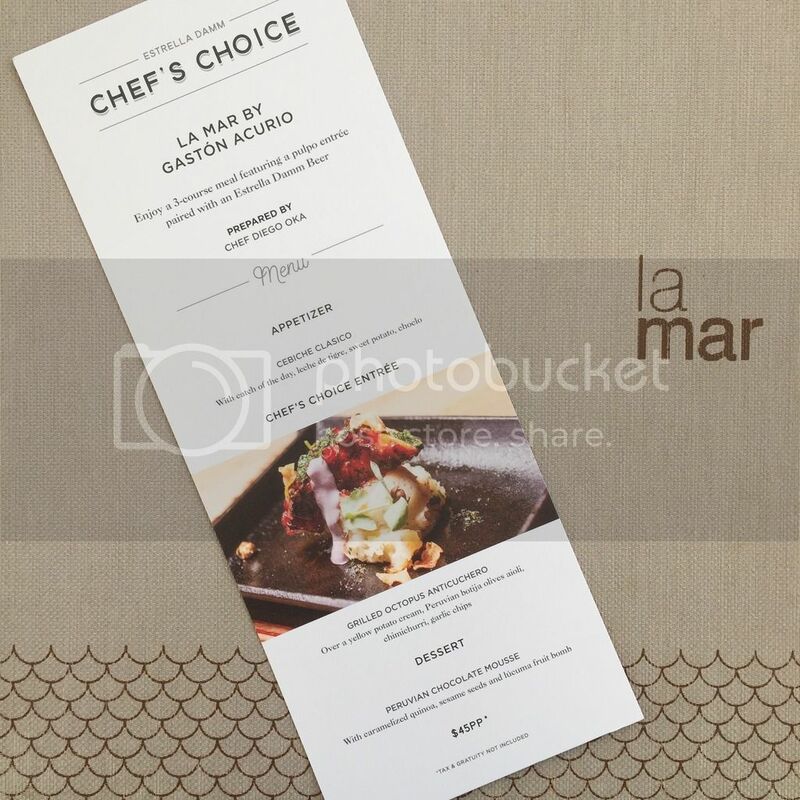 I had the opportunity to check out the Estrella Damm's Chef's Choice menu at La Mar by Gaston Acurio in Brickell Key. For $45, this three course menu is an absolute steal at one of Miami's pricier restaurants. 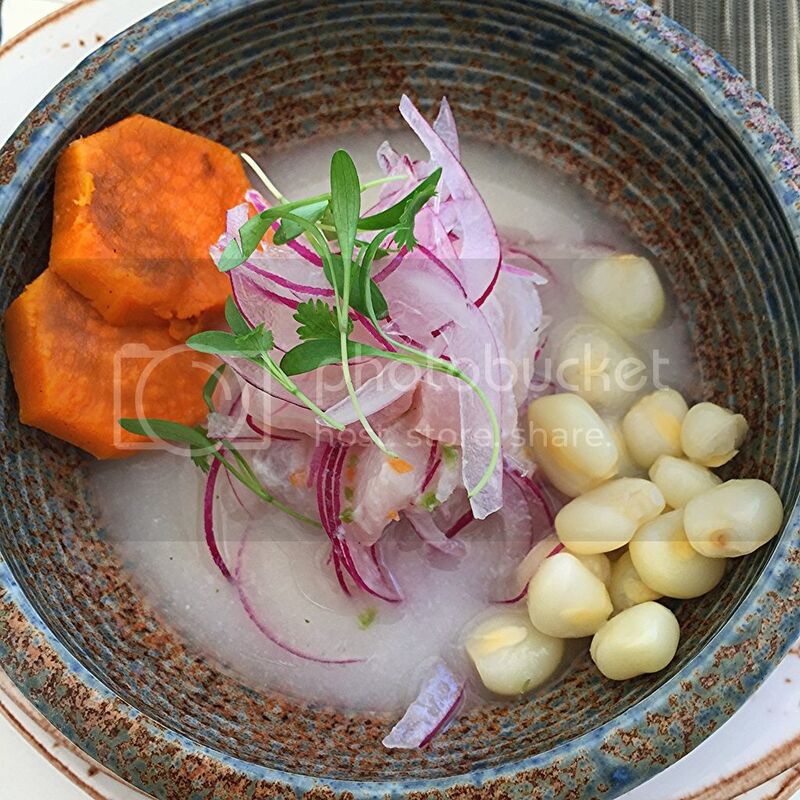 You start off with their ceviche clasico (which typically runs for $17) and it comes with huge chunks of fresh fluke, choclo, sweet potato and thinly slice red onions. 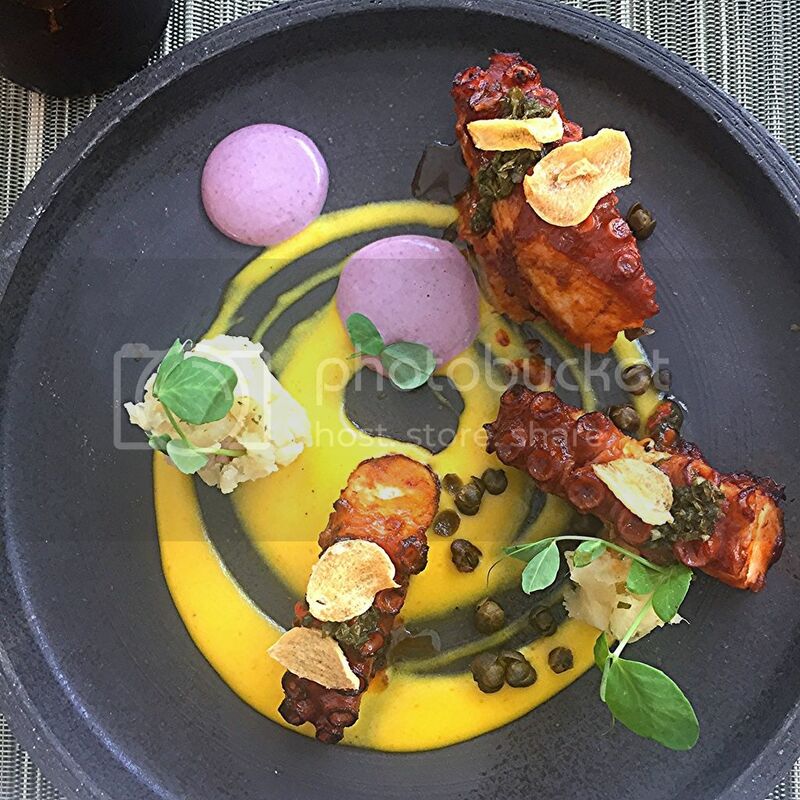 The main course is an invention made specifically for this venture and it's called Grilled Octopus Anticuchero. It consists of grilled octopus (that straight up, melted in your mouth) over a yellow potato cream, peruvian olive aioli, capers, chimichurri and garlic chips. Words can not express how deliciously flavorful this was. The beer acts as a palate cleanser on this dish that helps you prepare for dessert. Last but definitely not least, is dessert, By this point you want to be completely done with your beer. I learned the hard way that Estrella Damm and peruvian chocolate mousse do NOT go together. 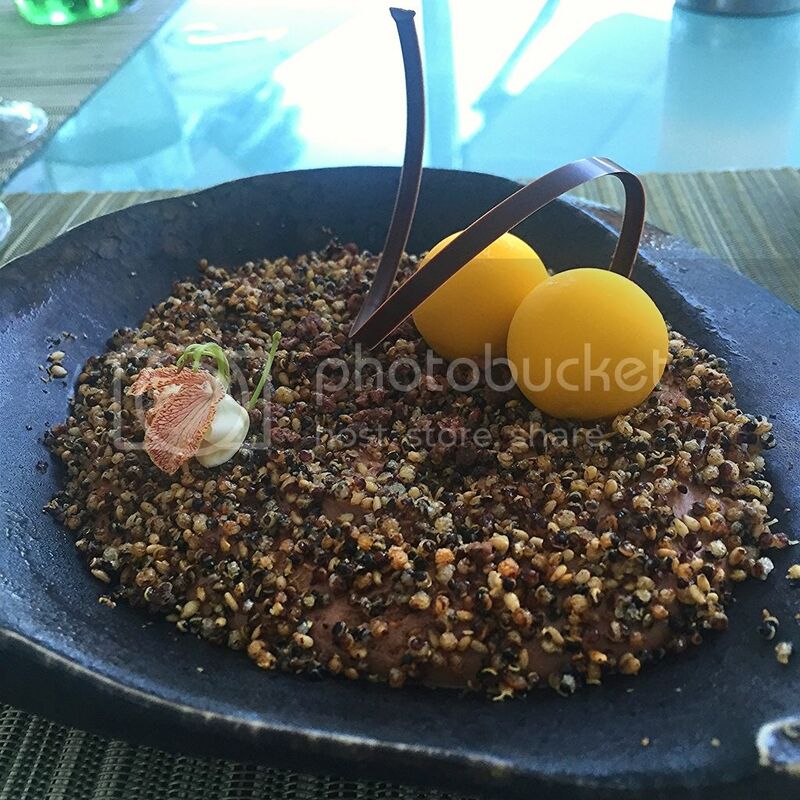 The rich chocolate mousse came topped with caramelized, toasted quinoa and lucuma fruit "bombs." The absolute high light of this dessert was without a doubt the caramelized, toasted quinoa. It gave a phenomenal crunch to the mousse and a great nutty layer of flavor. Be sure to jump on this deal while you can. 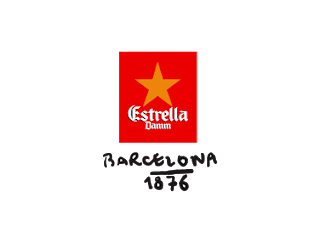 The Estrella Damm Chef’s Choice will run for two weeks starting on Saturday, June 20 and end on July 5, 2015.